This bag skyrocketed business for my company. Couldn't of done it without CEP help! Not only has my business customers loved this bag but our employees also adore them too. Love the wide selection of color options for this insulted bag. Awesome product and great service. Thank you CEP. These bags are super long lasting. Purchased a bulk order of these bags for my company for a very reasonable price. The dimensions of this bag is perfect and the logo I wanted really stands out just the way I wanted it to. Love how much this bag helped market my company! Thank you CEP! Awesome product and a great price! Love Custom Earth Promos! I own a meal prep company and these bags are perfect for putting meals in! 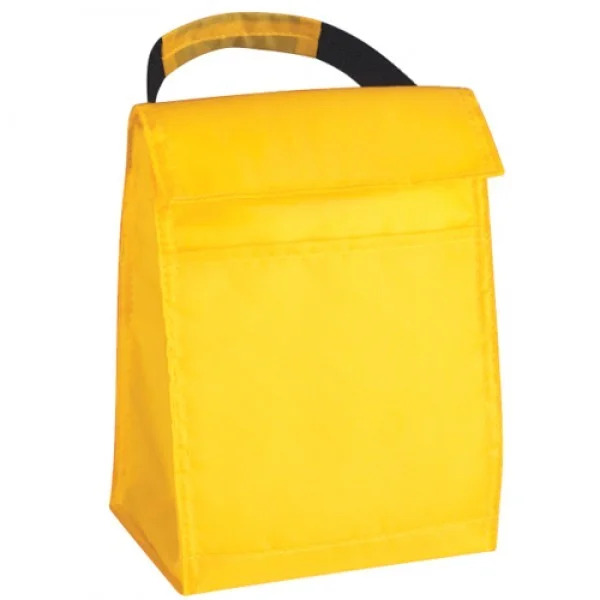 Very affordable you can easily reap major branding potential with a bag like this... It literally gets used everyday by our employees and customers. We ordered a TON of these bags, we got them for a great price. Originally we were going to charge customers a small price but we decided to use them as a giveaway because we got them at such a good price. The cost of advertising/marketing that this bag will serve is well worth the cost at that. We can't believe how affordable these bags are! They look great! Thanks CEP! Absolutely thrilled! Our logo is highly visible and looks AMAZING! These bags are great! Durable and able to withstand long time use! 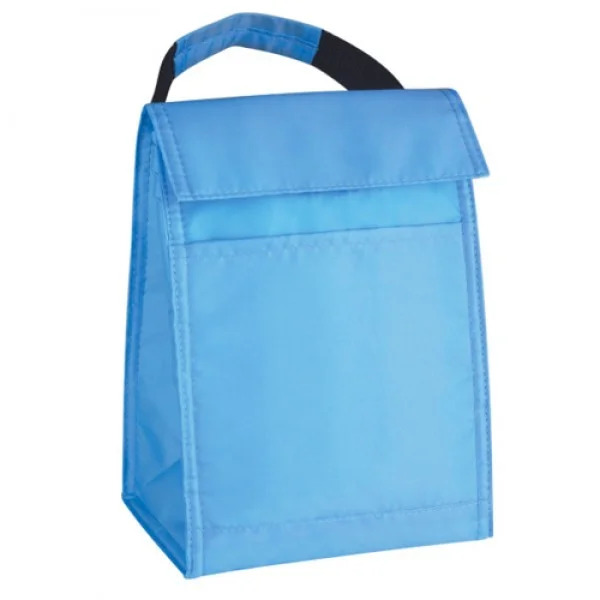 Perfect for a child's school lunch bag, I ordered these to give to each student to use for lunch along with there uniforms because we are a catholic school. Perfect bag to use for a giveaway. Love all the color options, it was nice to work with the designer they have on staff. We are a small business so we are thrilled we were able to get these bags. Now we can get the business exposure we need! 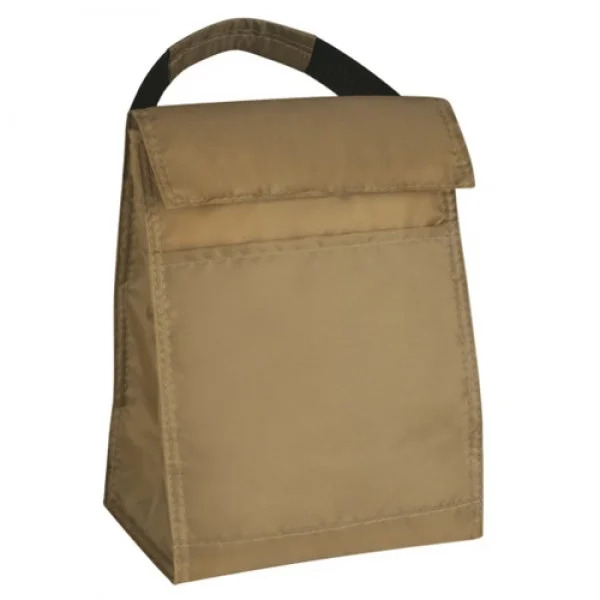 These bags are affordable but extremely high quality. Really impressed. These bags are amazing. They can carry heavier items and last forever! We are so glad we decided to order these bags! We have a limited marketing budget but these were super affordable and look great! We ordered 5 different colors for our event as a promotional item.. All of them came out great.... I am looking forward to the public response of our company making a shift towards green sustainable practices.. Conventional reusable tote, the insulation really works well. My company handed this bag out at a corporate event last year this is how I first heard about custom earth promos. I now have personally placed an order with them for my retirement party, this bag is going to be used as the gift bag for coming. It was very easy to work with them. In my opinion, yellow is the best color offered. We did a black and red imprint on this bag with black trim and handle (yes we customized it and it was well worth it). The bags came out phenomenal-looking, I will definitely be ordering this color bag again after this event is over for our next one. This was our anniversary celebratory product offered to each client. It was well received. Good bag, nice for my customers to pack lunch. 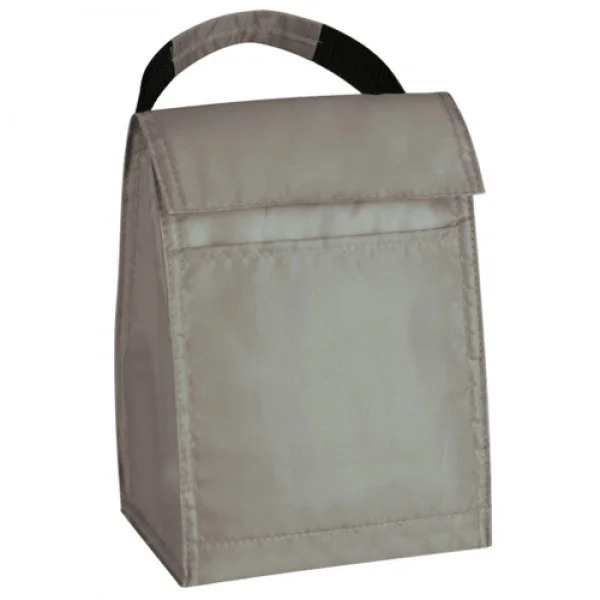 Handle is strong and the material of the bag is very durable. My imprint still looks new 1 year later from the trade show where we handed these out.. I just placed an order for this bag to use again for another trade show..
Great way to advertise, the quality of the bag was good enough in the sample we received that we were confident in putting our brand on the bag and partnering with custom earth promos. 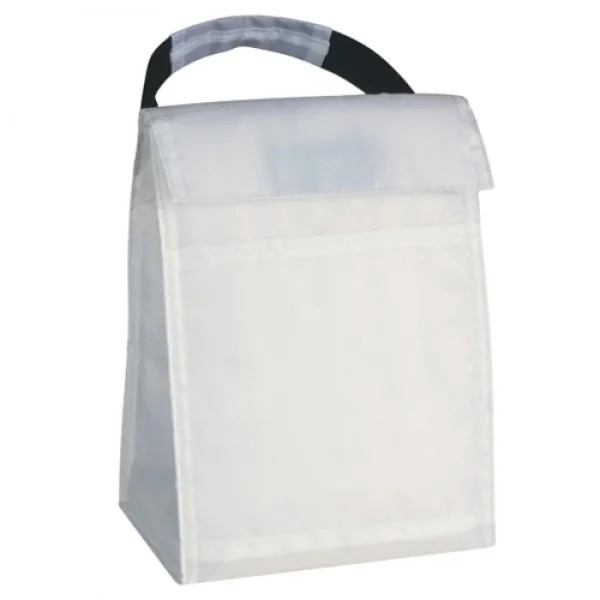 Each Insulated Reusable Tote comes with a web carry handle made of nylon wrap, which is strong enough to support heavy contents without damaging the bag. 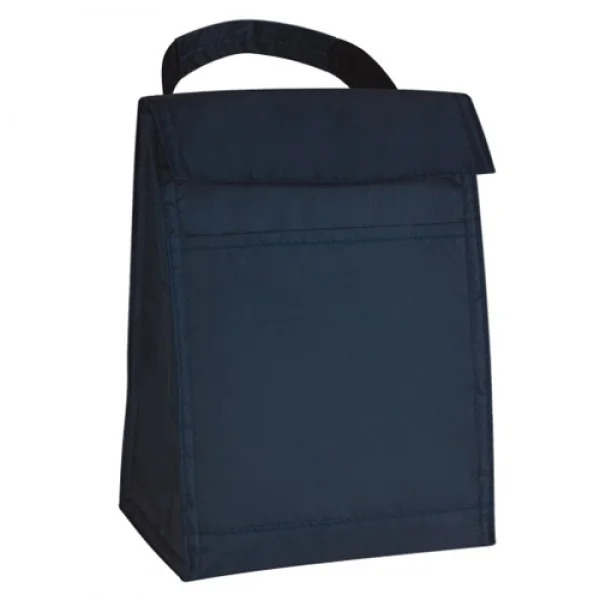 The collection of Insulated Reusable Totes from Custom Earth Promos is perfect for promoting emerging businesses. 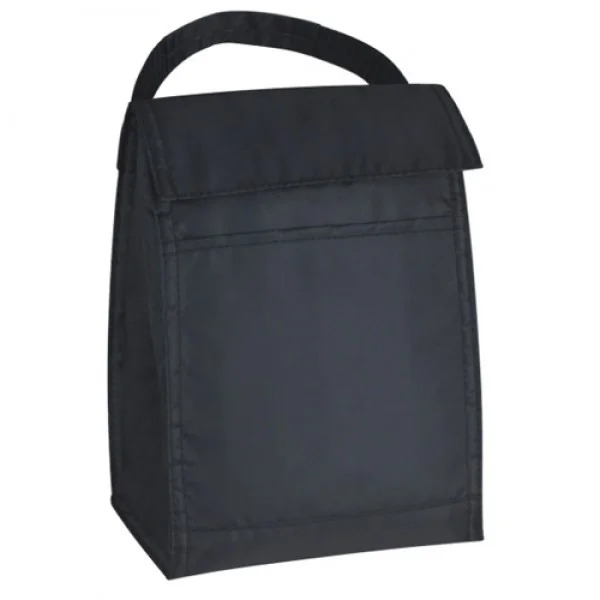 You can get your wholesale order of these cooler bags at affordable rates, making them a great investment to help you gain more exposure. Customize them with attractive imprints of your brand name and logo, and your customers will reuse them time and time again, for years to come! 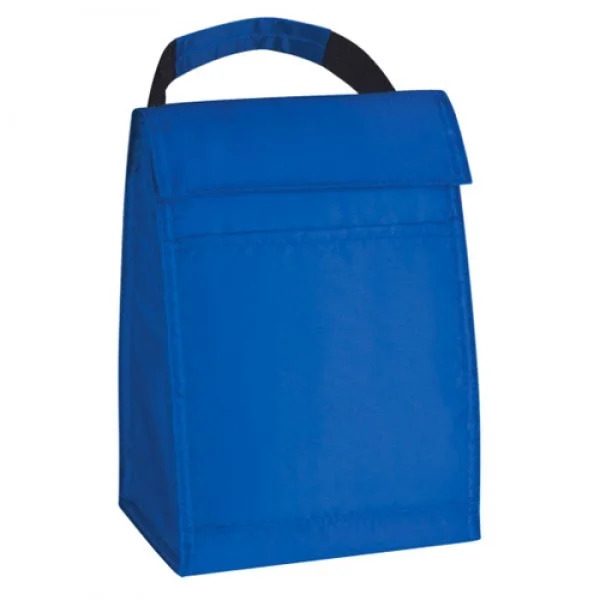 These recycled lunch bags can be used to promote businesses in different types of industries, including retail, beauty, hospitality, healthcare, publishing, and so much more! 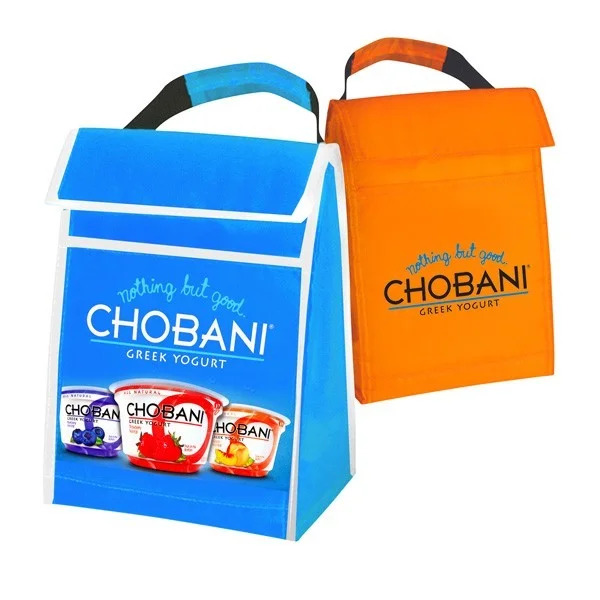 Custom Earth Promos has made it possible for start-up businesses to promote their brand and gain more exposure with the collection of Insulated Reusable Totes. 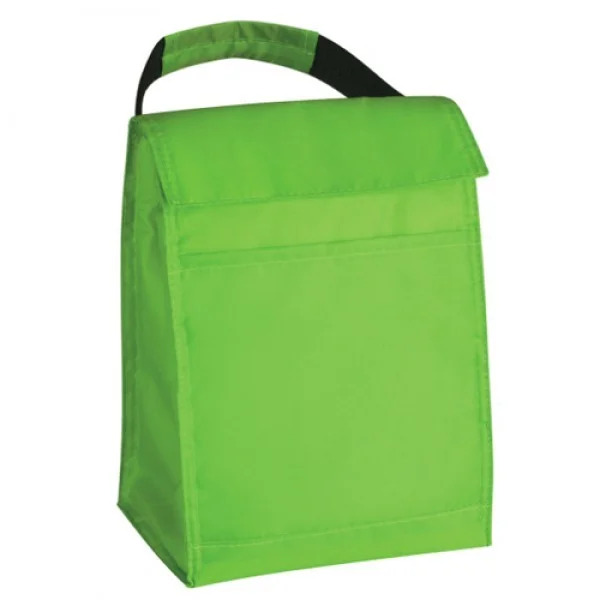 Made out of 210D polyester, this strong material can withstand several years of regular use. You can choose from 14 eye-catching colors that will enhance the visibility of your brand name and logo. You also have the option to divide your order between different colors instead of settling on just one. 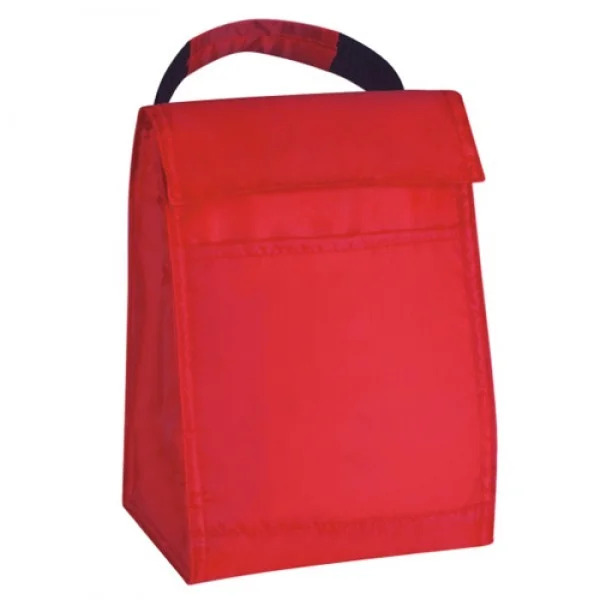 The bags come with insulated linings that are designed to keep hot and cold food items at the right temperature. 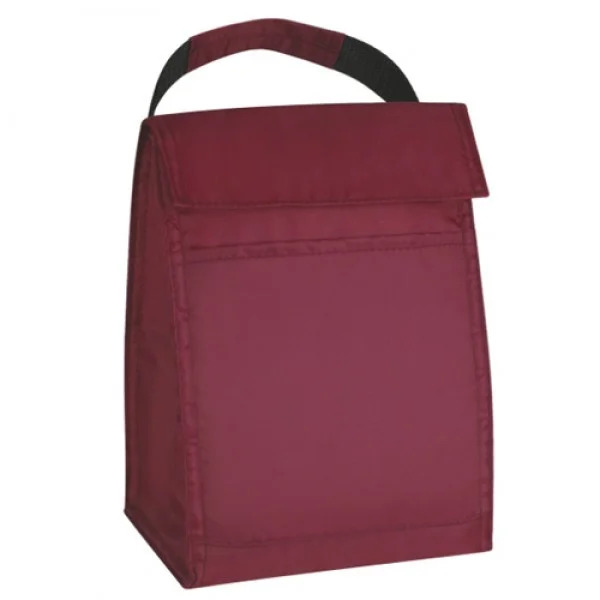 Your customers can carry them for lunch, picnics, outings, game days, and more! 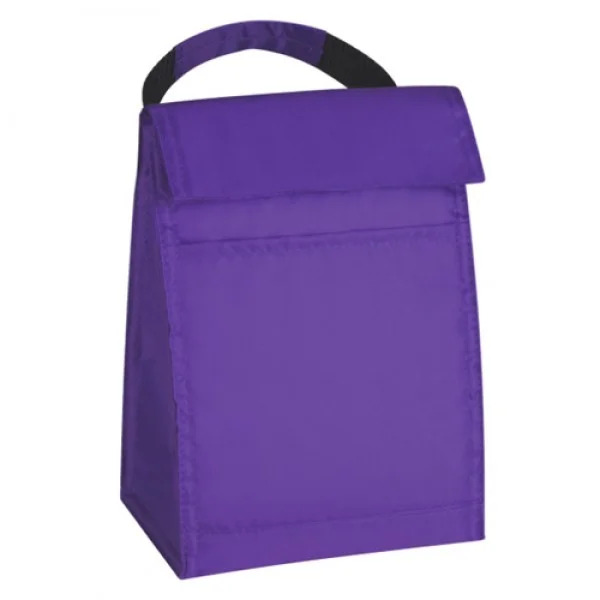 This bag includes a front pocket that can be used to carry small accessories at your convenience. 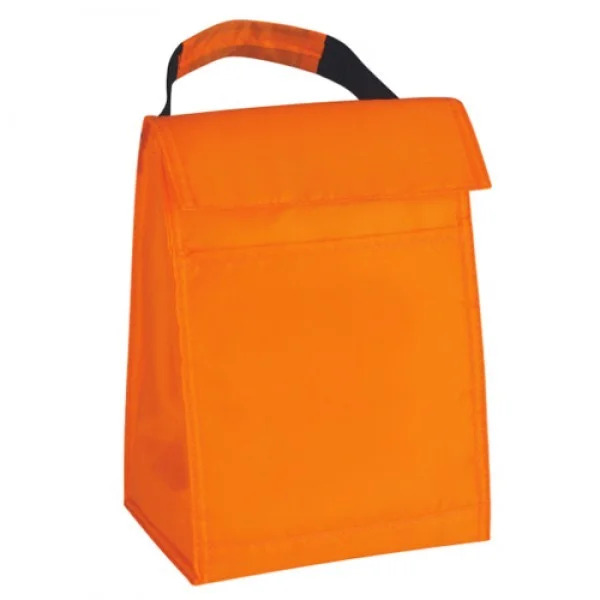 A Velcro closure is added to each bag to prevent the contents from falling out. All our products are carefully tested according to the California Proposition 65 guidelines, ensuring that they are not contaminated by harmful additives. Our custom production factory can help you build your wholesale order of Insulated Reusable Totes from scratch. You can choose from thousands of stock graphics and images to create a custom imprint to suit your brand. Your choice of design imprint is carefully printed in colors that match the fabric, enhancing the visibility of your brand name and logo. There is an option to choose between silk-screen printing process and transfer printing process. Our skilled designers craft your order according to your design specifications and advertising requirements.